Box Text: Oh yeah.... he's back.... AND he's ready! It's A Whole New Time-Traveling Adventure! 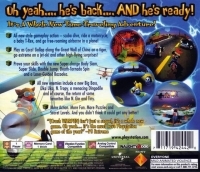 -All new-style gameplay action - scuba dive, ride a motorcycles, a baby T-Rex, and go free-roaming airborne in a plane! -Play as CocoQ Gallop along the Great Wall of China on a tiger, go extreme on a jet-ski and other high-flying surprises! -Prove your skills with the new Super-chrage Body Slam, Super Slide, Double Jump, Death-Tornado Spin and a Laser Guided Bazooka. 01-29-2016 aliensstudios Box Text Oh yeah.... he's back.... AND he's ready! It's A Whole New Time-Traveling Adventure! -All new-style gameplay action - scuba dive, ride a motorcycles, a baby T-Rex, and go free-roaming airborne in a plane! -Play as CocoQ Gallop along the Great Wall of China on a tiger, go extreme on a jet-ski and other high-flying surprises! -Prove your skills with the new Super-chrage Body Slam, Super Slide, Double Jump, Death-Tornado Spin and a Laser Guided Bazooka. -All new enemies include a new Big Boss, Uka Uka, N. Tropy, a menacing Dingodile and of course, the return of some favorites like N. Gin and Tiny. -More action. More fun. More puzzles and Secret Levels. And you didn't think it could get any better! 10-30-2012 empovyle Box Text Oh yeah.... he's back.... AND he's ready! It's A Whole New Time-Traveling Adventure! 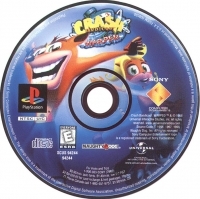 This is a list of VGCollect users who have Crash Bandicoot: Warped in their Collection. 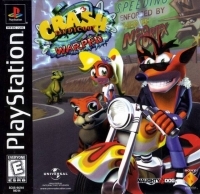 This is a list of VGCollect users who have Crash Bandicoot: Warped in their Sell List. This is a list of VGCollect users who have Crash Bandicoot: Warped in their Wish List.